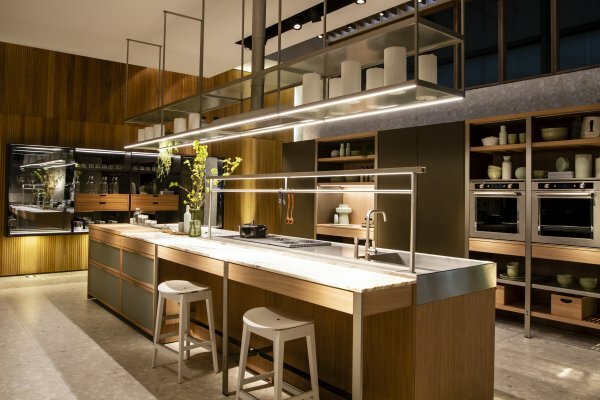 Eurocucina is the international showcase for all that’s coming next in kitchens. 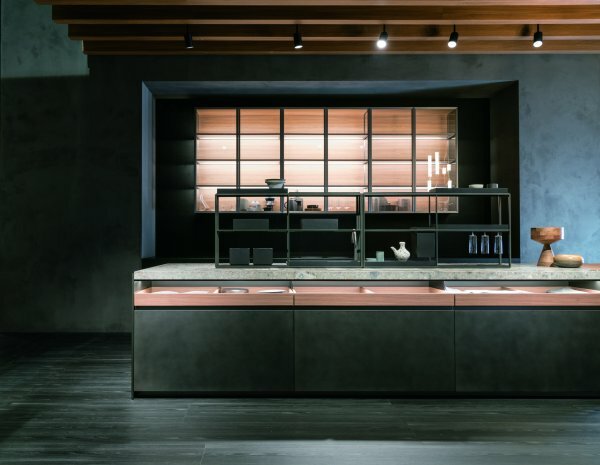 A key element of Milan’s Salone del Mobile fair, this year’s edition hosted more than 100 kitchen companies. And among the large number of exhibitors, there were some distinct trends on view. 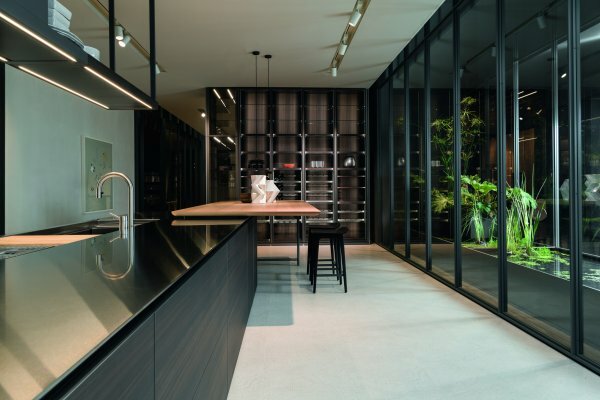 Manufacturers were taking a fresh approach to storage, making the best use of space, including turning the splashback – an otherwise underused area – into a flexible storage solution. 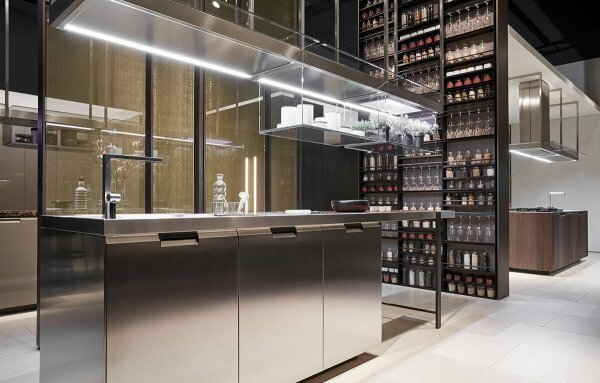 Rossana and Scavolini both combined open shelving, compartments and glass storage that ran the whole width of the prep and sink area, while Valcucine’s Genius Loci kitchen featured a dedicated area of illuminated storage that can be concealed when cooking’s finished. This emphasis on flexibility shows how manufacturers recognise that the best cooking happens when people aren’t constrained by kitchen layout. Keeping some items on display and others hidden means we can tailor our kitchens to our own cooking preferences. Open shelving has become a popular look, as it means we can put favourite pieces on display. However, when those pieces need almost daily cleaning, the look becomes less practical. The solution? 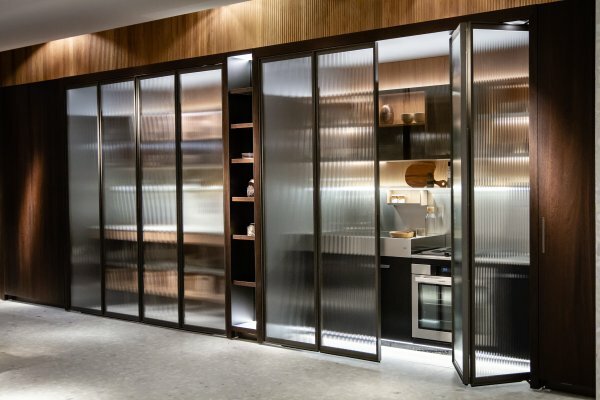 Ribbed, embossed or patterned glass that keeps shelves feeling open but items dust free. 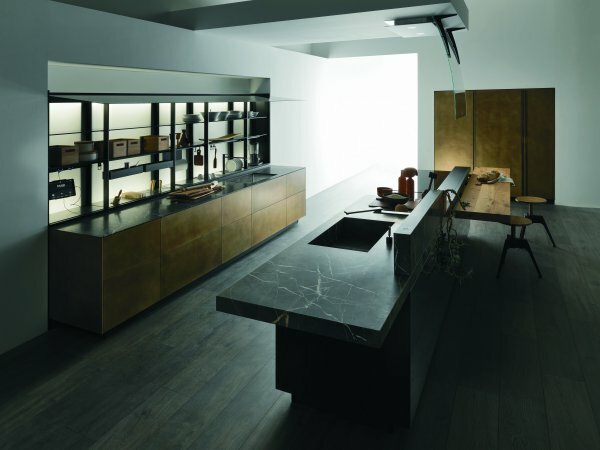 This look was everywhere at Eurocucina, including on the stands of TM Italia, Poliform and Ernestomeda. Designers have incorporated it into wall units to mid- and full-height units, and as everything from frosted to painted-on lines (Elam) and even backed with fabric (Cesar and Rossana). Including lighting within the storage is another nod to practicality. 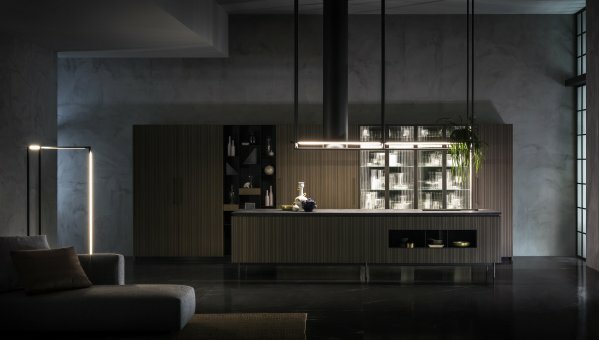 Items can remain either in shadow or fully on view in a display that also brings mood lighting to the kitchen. Every island unit now seems to include space for a seating area, even if it’s just a small breakfast bar. 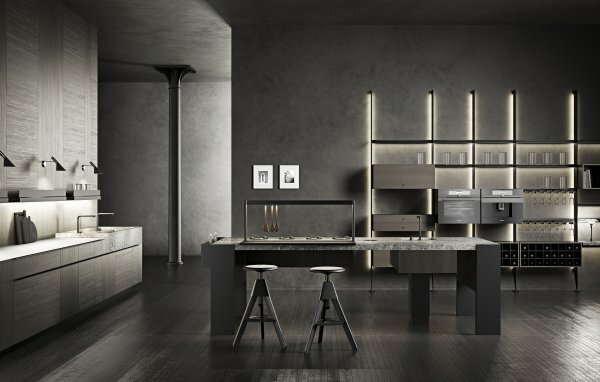 But in Milan, kitchen designers had taken this to the other extreme by adding a full-size dining table. Some of these were level with the island but others were table height and designed to seat for an extended family gathering or dinner party. Rather than having a separate formal dining table, why not keep the dining close to the action? 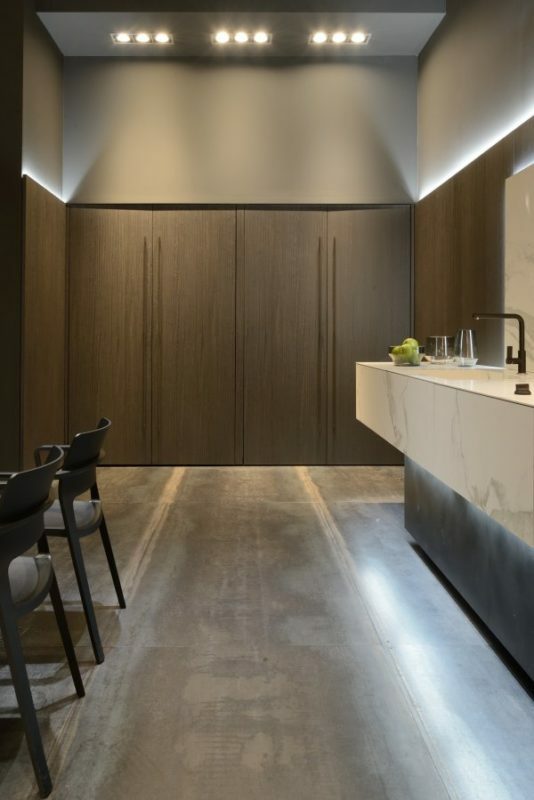 Dada and Porcelanosa showcased two notable examples. This one isn’t brand new for 2018 – but it’s worth mentioning because it was still very much a growing trend at this year’s show. In fact, the option to hide away the working areas of the kitchen isn’t just a good idea for small spaces but for all open-plan kitchens. 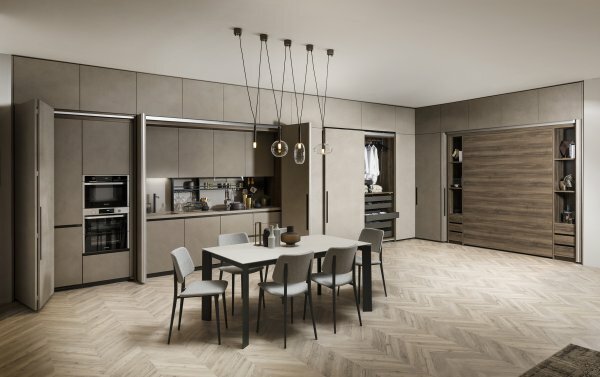 The Monolith kitchen from Comprex and Scavolini’s Box Life were two examples of the many that used full-height pocket doors. These completely conceal elements of the kitchen from the rest of the room and slide out of the way when the room’s in use. 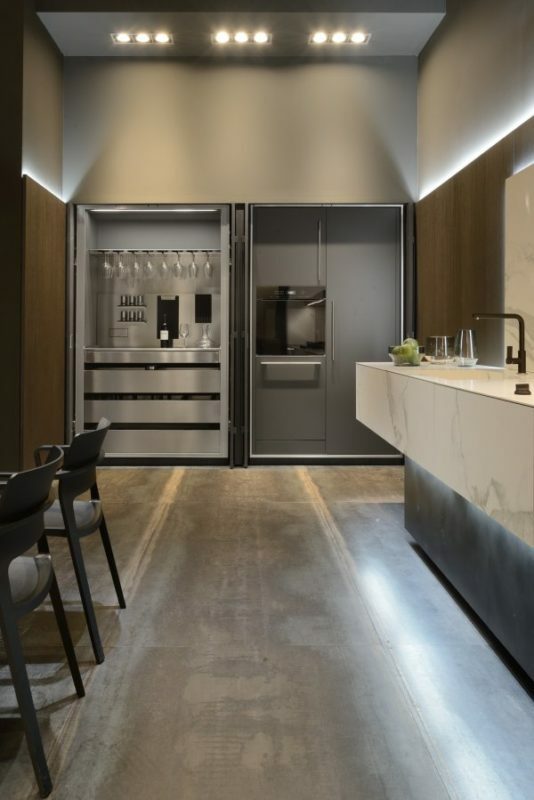 In a crossover with the frosted glass trend, Ernestomeda featured a kitchen partially hidden by full-height ribbed glass doors. From Cesar and Ernestomeda came a new concept in keeping everything within easy reach. We’ve coined the term ‘hanging rail’ to describe it since that’s what it is – a structure that provides lighting over the hob and can be used to hang all your favourite utensils just where you need them. You could also see it as a pared-down version of a batterie de cuisine from a professional kitchen. 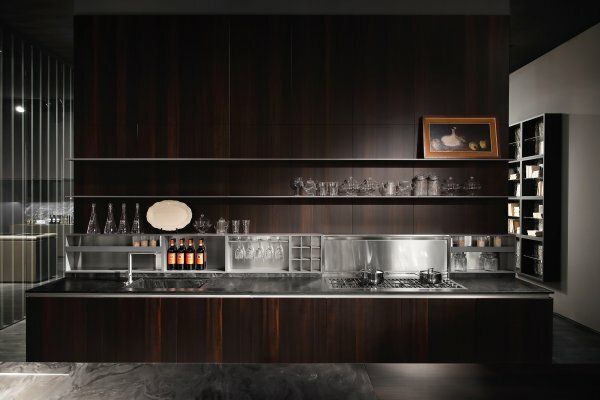 Some manufacturers have extended the trend by adding compartments and shelving to create open and suspended storage. 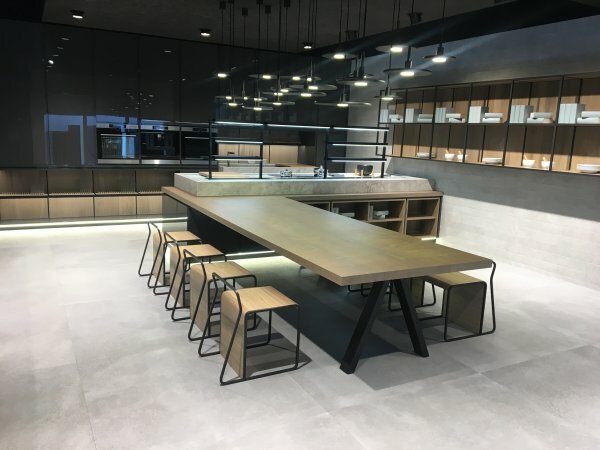 For example, Dada’s VVD handleless kitchen featured a compact steel structure of shelving down the centre of the island to define the working area and provide handy storage but maintain a sense of openness. Extractor hoods are subject to trends just as much as the rest of the kitchen. They tend to be either hidden away or decorative and meant to be seen, particularly when they’re sited above an island. 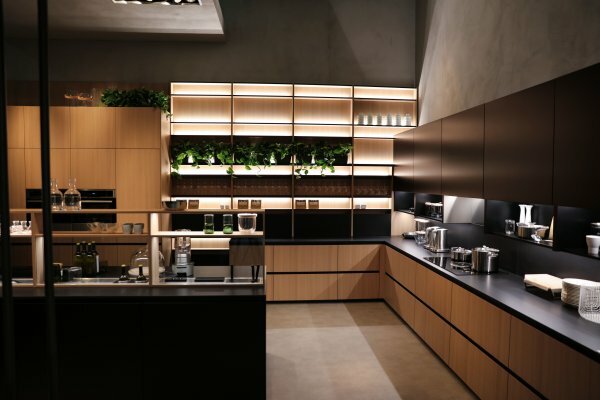 But a third version was seen over and over again at Eurocucina – the large, multifunctional extractor that doubles as open storage. Made from metal frames and glass to keep their looks light, these are also the perfect area for extra storage. Some were used for purely decorative items, but others held herbs and cooking utensils, creating another practical space. Nolte, Poliform, Ernestomeda and TM Italia all had examples of this trend. 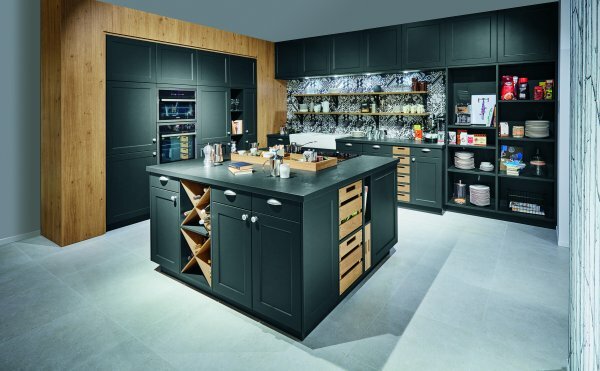 Stainless steel has always been a popular material thanks to its hardwearing finish and professional look, and it was everywhere at the show – though in several guises. 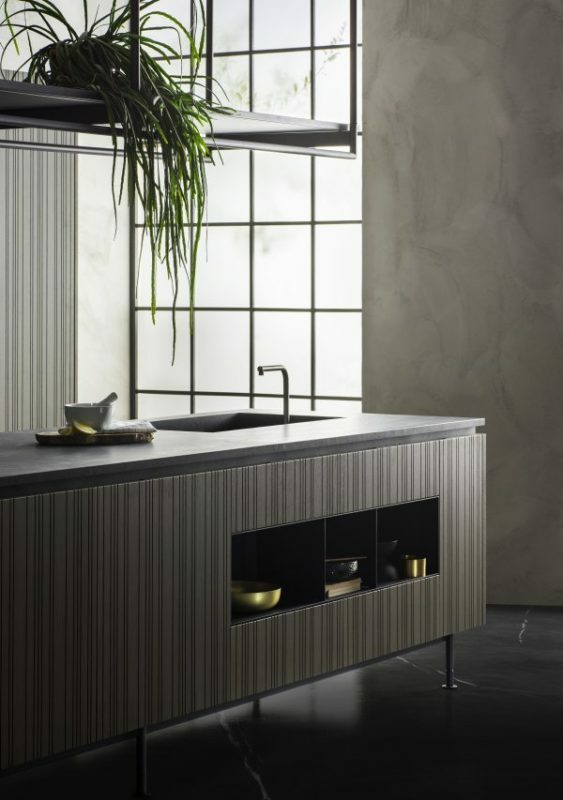 For example, Poliform fooled the eye with an ingenious worktop that looked and felt like embossed stainless steel, but was in fact porcelain. Warmer metallics in brass and bronze added glamour to the doors of Valcucine and TM Italia. For the most beautiful and unexpected use of stainless steel, hats off to Xera. Its kitchens are made entirely from stainless steel, but this has been put through a process to bring out its natural nickel and chrome. The result is doors with copper and brass shades as well as more usual brushed silver tones. This might sound like an unfinished kitchen, but drawers made from just of the drawer box created an interested storage solution on a few stands. The ‘no front’ drawers created a contrast between the natural wood and whatever doors were used in the rest of the kitchen. Dada used this treatment to create a row of drawer trays along the non-working side of an island unit. 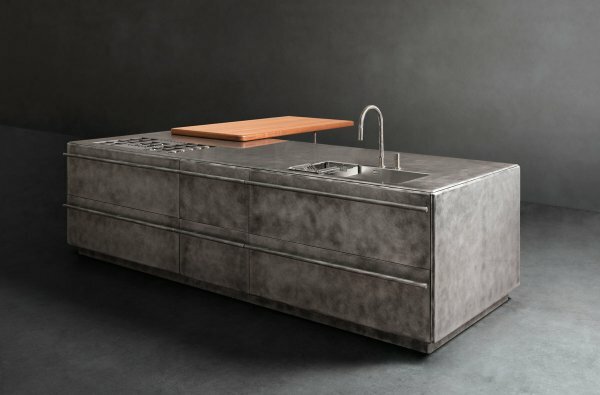 Meanwhile, Schüller broke up the painted finish of an otherwise fairly traditional kitchen with this ‘unfinished’ drawer front.